Catering Elk River: Serrano Brothers Caters Shift Meals! We Do Shift Meals Too! Serrano Brothers Catering is the family-run catering company to turn to for all your catering needs in the Elk River area. We specialize in delicious cross-cultural meals for big events, corporate affairs, graduations, family gathering, weddings, and shift meals. Today we are going to be taking a closer look at shift meals. We can feed your hard-working, hungry employees who are working any of your shifts. We provide meals at any time of the day or night. Whether it is 3AM or 12PM, we can provide delicious, healthy meals for your shift workers. 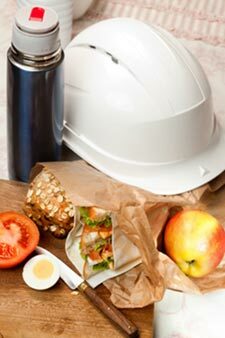 A great way to keep workers alert and on the job is to feed them meals packed with protein to keep their energy steady early in their shift and then to feed them food high in carbohydrates at the very end of their shift since these foods won’t keep you awake. Call Serrano Brothers Today to see how we can feed your loyal, hard-working shift workers!